AREA TEAMS INCLUDED: Central Catholic. In a short TAPPS District 2-I season, teams can’t afford to let losses stack up. Central Catholic (5-3, 2-1) avoided that pitfall Friday by scoring the first 29 points against dangerous San Antonio Christian (4-4, 1-2). The Buttons held off the Lions’ inevitable comeback efforts to secure a 39-26 district victory at Benson Stadium. With the win, Central Catholic is tied for second place with Austin St. Michael’s (3-5, 2-1). The Buttons had lost to district-leading Antonian (7-1, 3-0) a week earlier. Senior quarterback Joseph Nava had a hand in each of Central Catholic’s first four touchdowns, passing for three after running for the first. Nava (153 yards, 23 carries) ran three yards for the initial score, less than four minutes into the game. Nava (15 of 31, 189 yards) connected with William Prouse (123 yards, 5 receptions) on touchdowns of 26 and 40 yards, giving the Buttons a 22-0 halftime lead. 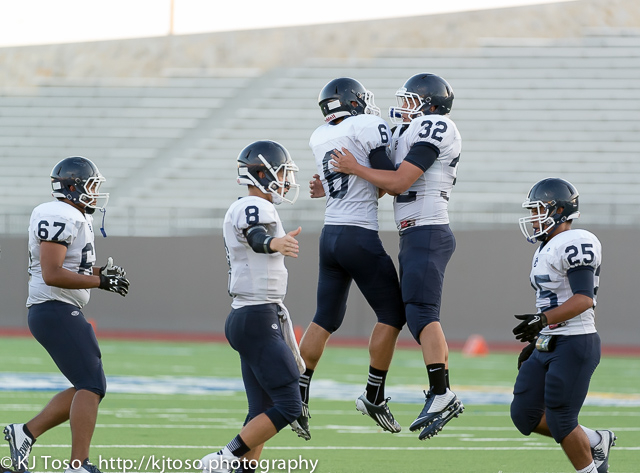 After the half, Nava threw 12 yards to Joe Barrera with 7:35 to play in the third quarter. Barrera also completed a 38-yard pass. San Antonio Christian cut the lead to 29-7 with its first touchdown at the 5:06 mark of the quarter. Lions quarterback Andrew Hawkins (24 of 34, 357 yards) threw an eight-yard scoring pass to Sam Lorillard (132 yards, 6 catches). Central Catholic outgained Christian 463-445 in total yardage. The Buttons limited the Lions to 88 rushing yards. Nava threw 21 yards to back Jimin Suh for the Buttons’ last touchdown with 2:10 remaining in the third quarter. Suh also rushed for 81 yards on 19 attempts. The Lions scored the game’s last three touchdowns, two on passes from Hawkins and another on a 90-yard interception return from Christian Fornicola. 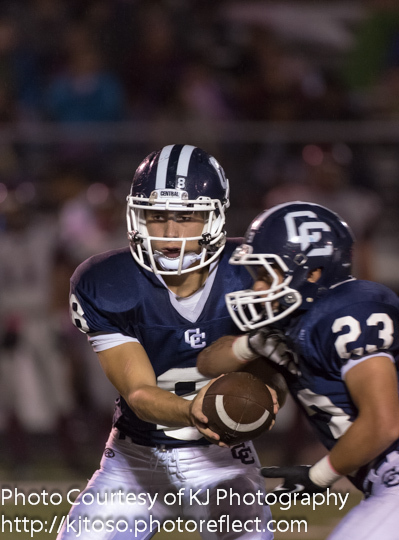 Central Catholic makes the long road trip to Brownsville St. Joseph (5-3, 1-2) for a 7 p.m. game Friday.